Located in the heart of Wynwood, a burgeoning art scene in Miami, Frangipani is an upscale, trendy boutique that shares a wall with the famed Wynwood Walls. They source their wares from around the world and pride themselves on offering a wide array of unique pieces that can't easily be found in other stores. Their inventory is handmade, sustainable, artisanal and reflects the spirit of Miami with a mix of modern and tropical. Frangipani hosts an array of interesting, handmade products but lacks a clear brand identity to further convert customers to loyal followers and brand advocates. Position the brand and shop as authentically Wynwood, a cannot miss destination for tourists and locals alike. Increase traffic to the store and increase its relevance on social media platforms like Instagram and Facebook where millennials are looking for information about shopping and places to visit. With more than a handful of other trendy, well-concepted boutiques in Wynwood, Frangipani needs to break through the clutter. Price-wise they are competitive but a lack of brand identity keeps them from converting foot traffic into loyal followers or giving their customers a reason to spend the extra money on their products. Through auditing Frangipani's social pages and online presence, and those of three other boutiques, it is clear that all four have similar wares but have positioned themselves in different ways. 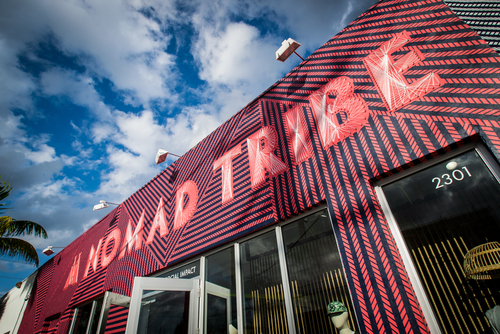 The three main competitors for Frangipani are Nomad Tribe, Boho Hunter and Wynwood Shop. These are all located in close proximity to Frangipani, however, rather than capitalizing on their location in the heart of the art district, they have all opted to position themselves as raw, fair-trade and ethically sourced. Because these boutiques are focusing on the sustainable nature of their products, Frangipani can move into the white space of artisanal and hand-crafted. Frangipani has the opportunity to set itself apart from its competitors and gain affinity in an area where people are already coming to view and purchase art. Here, Frangipani has the ability to position itself as an accessible option for art-lovers, a truly Wynwood experience. Frangipani is rebellious, quirky, and fun-loving. When you walk into the shop, it’s hard not to notice their brightly-colored wares tastefully displayed. They value art and artistry but in a down-to-earth, approachable way. Millennials are more motivated than any previous generation to buy products that give back, with 48% of millennials trying to use brands that support social causes (MergeIn). They value transparency and authenticity, and demand it from the brands they buy. They are willing to pay more for products that are locally sourced, ethically-produced or have a compelling story attached to them (Pew). They also value in-store experiences, with 82% of millennials preferring to shop in brick-and-mortar stores. More than that, they expect these stores to provide an experience that goes beyond shopping (Pew). 55% of millennials rely on social media to find out about shopping news, trends and information so in order to be where our audience is looking we need to strengthen Frangipani’s presence. By positioning our products as supporting artists, making in-store visits more meaningful and making our presence on social more compelling, we can tap into those willing to splurge on our unique products. Audience: Millennials, ages 25 - 34, men and women, all races/sexual orientations/ethnicities. These millennials are old enough to have money to splurge more on non-essentials but they don’t yet have families to worry about supporting. They are located in the Miami area whether it be permanently or while on vacation. Mindset: Our mindset is liberal, educated and socially-conscious. They are what has been called the “aspirational class.” They are not only concerned with their image, but concerned with portraying themselves as forward-thinking. They consider themselves tastemakers and they appreciate high quality products with meaningful back-stories. They work hard but regularly treat themselves to non-essentials like candles and stationary and are able to travel for leisure. When they travel, they are looking for a unique, local experience. They are highly connected on social and turn to it as a source of information and inspiration. The products sold by Frangipani are one-of-a-kind, high-quality, authentic and in general, worthy of their premium price tag. We know that our target is willing to spend more if they have proof of that quality and authenticity. We should capitalize on the authentic nature of our artisanal products as tokens that represent the true Wynwood experience. A shopping day is even more satisfying and rewarding when coupled with a memorable experience. Establish Frangipani as an integral part that can't be missed on a visit Wynwood. Frangipani is the piece of the puzzle that completes a true Wynwood experience. When in Rome, be like the Romans. When in Wynwood, be #WynwoodAF. 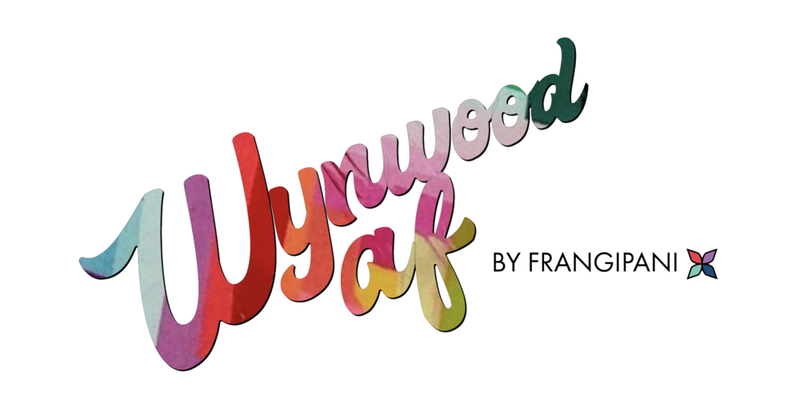 We will position Frangipani as #WynwoodAF through experiential activations and sponsored content on social. We will kick off our campaign by offering free tours of the neighborhood. An urban oasis of rustic warehouses, explosive graffiti and picturesque galleries, Wynnwood is the epicenter of Miami's burgeoning art scene. The #WynnwoodAF Walking Tour is your gateway to explore the best that Wynwood has to offer-- like a local and completely for free. 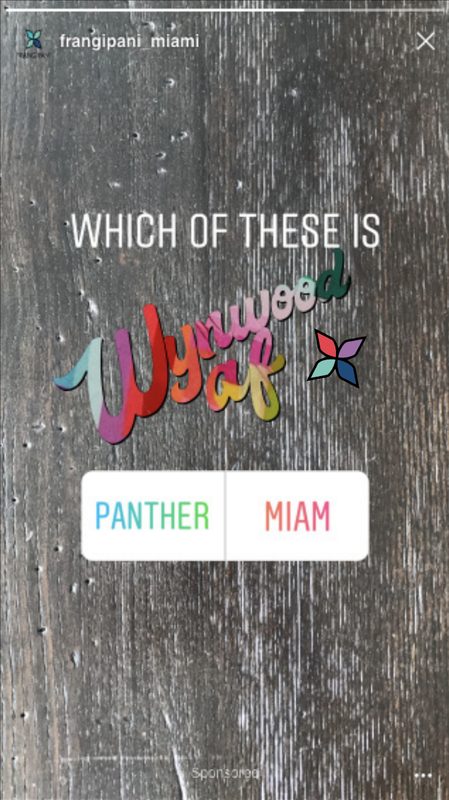 We will push sponsored Instagram stories featuring local businesses such as cafes, bars and restaurants, to those located in the city of Miami, both locals and visitors.